You are here: Home / Money / Business / The NCAA Keeps Winning While Black Athletes Continue To Lose. The NCAA Keeps Winning While Black Athletes Continue To Lose. (ThyBlackMan.com) Recently on The College Football Playoff Selection Show on ESPN, the four big colonial universities are not only fighting for a chance to be college football’s national champion, but they’re also fighting for something bigger than just a national championship: millions of dollars for their schools. 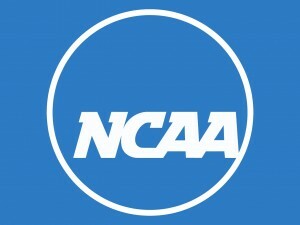 The NCAA is one of the most corrupt, exploitative, and parasitic capitalist organizations in the history of America that’s basically a modern day plantation where the mostly white coaches, commentators, and athletic directors make millions of dollars off of the stolen and exploited labor of mostly young black male athletes between the ages of 18-21 who come from colonial conditions imposed on their communities from poverty to illegal drug economy. The NCAA is also one of the biggest examples of exploited black labor = profitable white wealth because The College Football Playoff since its inception back in 2014 has made a total of over $2 billion in revenue which comes from the stolen and exploited labor of the guys who put in the most work on the football field: young black male athletes between the ages of 18-21. One of the biggest issues in mainstream college football and basketball today that’s not being reported on in the media is the fact that when you look at the college football and basketball rosters, about 90% of the starters are young black men between the ages of 18-21. The NCAA is also notorious for punishing athletes who try to profit off of their own image and likeness as such in the case of former college football running back Todd Gurley who signed an autograph back in 2014 and was compensated about $3,000 for the autograph. And then The NCAA in typical tyranny fashion, punished this brother for rightfully being compensated for his own autograph by suspending him for four games and then after that suspension, Todd Gurley was injured the following game which is among a long line of notorious examples of The NCAA destroying an athlete’s career. My personal disdain for The NCAA is also among the main reasons why I’ve never been too big on watching college football and basketball games on national television. Major networks like ABC, CBS, & ESPN make billions from the broadcasting rights alone and commentators like Chris Fowler and Kirk Herbstreit make millions of dollars each year off the backs of these athletes and their families (mostly black). For anyone who wants to argue that a “scholarship is enough compensation” for athletes, then go take away current Clemson football coach Dabo Swinney’s $6.75 million salary and give him a scholarship and see how quickly he cusses you out and quits his job at Clemson. At most colonial universities across the country, the football and basketball coach is usually the highest paid employee on the campus because they make way more money than the doctors, professors, the president, and the chancellor. My personal position on this topic is that these brothas that are putting in the work on the field and the court deserve to be fairly compensated for their work because they’re the ones that are bringing in most of the yearly revenue to The NCAA. The Conclusion – The black athletes that put in the blood, sweat, and hard work for these colonial universities every year continue to be the biggest losers in the corrupt, exploitative NCAA regime.